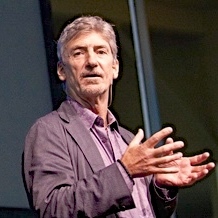 A longtime writer and editor for National Geographic, Don Belt is an award-winning journalist, an educator and public speaker, and an experienced communications strategist working on behalf of worthwhile causes and organizations. 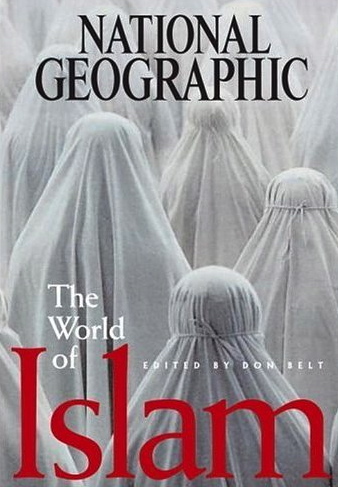 He brings a global and humanistic perspective to every project, ranging from editing the first-ever National Geographic retrospective on Islam (above) to exploring the frontiers of journalism in the digital age. Favorite speaking topics include Lawrence of Arabia and the making of the modern Middle East, the geopolitics of Water, Slow Journalism, the Out of Eden Walk project, and his three decades covering the world for National Geographic. One of Don’s most popular speaking topics, SYRIA today is in the throes of a brutal civil war that was years in the making. For an in-depth look at the modern history of Syria, including an interview with President Bashar al-Assad, see Don’s story in the November 2009 issue of National Geographic, with photographs by Ed Kashi. For further insights on Syria and foreign affairs in general, Follow Don on Twitter: @dbelt50. On October 30, Don conducted his Walk on Campus workshop in Chicago, sharing his Out of Eden Walk “slow journalism” curriculum with more than a dozen university professors from the midwest at the Medill School of Journalism at Northwestern University. The workshop was presented in partnership with the Pulitzer Center on Crisis Reporting. On October 23 Don delivered the Marshall Center Lecture on T.E. Lawrence (Lawrence of Arabia) to the Jepson School of Leadership Studies at the University of Richmond. 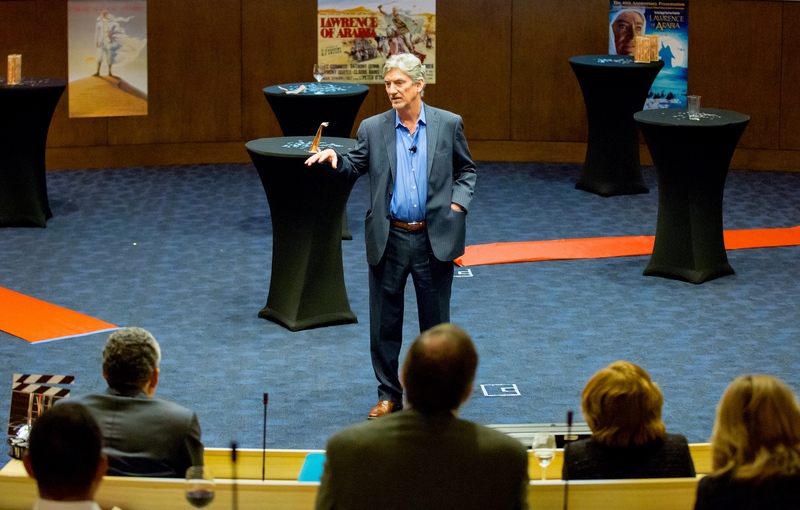 Don delivered an evening lecture on the Out of Eden Walk project at Harvard Law School, to a leadership summit of the Leadership Council on Legal Diversity. Special guests included Liz Dawes Duraisingh of Project Zero (Harvard Graduate School of Education), and Jeff Blossom of Harvard’s Center for Geographic Analysis. Cambridge, MA. Don conducted a day-long Pulitzer Center Workshop for university journalism educators, sharing his curriculum based on Paul Salopek’s Out of Eden Walk and its potential as a teaching tool for professors of journalism, geography, anthropology, environmental science, and international studies. Ann Peters of the Pulitzer Center wrote an article about the Workshop here. Washington, D.C. Please watch this space for updates. @jstaylor97 Good stuff, Jacob. Anything he said worth posting? Let's build a following! An Out of Eden Walk essay on how I teach the theory and practice of Slow Journalism at the University of Richmond, and to educators around the U.S. in partnership with the Pulitzer Center on Crisis Reporting. Trekking north of the Arctic Circle through Europe’s largest wilderness, travelers are on their own. An influx of nomads has turned Mongolia’s capital upside down. A portrait of the Pakistani garrison town of Abbottabad, where Al Qaeda leader Osama Bin Laden was killed by a team of U.S. Special Forces in May, 2011. The people of Bangladesh have much to teach us about how a crowded planet can best adapt to rising sea levels. For them, that future is now. A source of conflict between Israel and its neighbors for decades, the Jordan River is now depleted by drought, pollution, and overuse. Could the fight to save it forge a path toward peace? Geographic overview of a land still in turmoil. Poised to play a pivotal new role in the Middle East, Syria struggles to escape its dark past. Followers of Jesus for nearly 2,000 years, Arab Christians today are disappearing from the land where their faith was born. A new superhighway linking its four major ciites is bringing old and new India into jarring proximity. Sixty years after its founding as a homeland for India’s Muslims, Pakistan straddles the fault line between moderate and militant Islam. Its dilemma is a cautionary tale for the post-9/11 world. Some people dream of exotic adventures with National Geographic. Thomas J. Abercrombie lived that dream. For more of Don’s past articles for National Geographic, including two downloadable e-books and award-winning features on Lawrence of Arabia and Lake Baikal, visit his Journalism page. 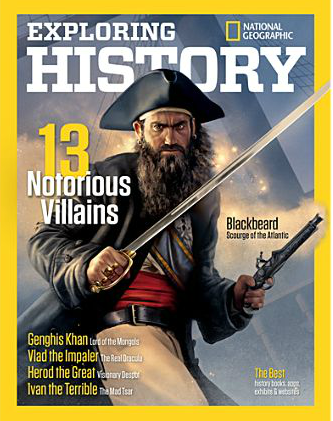 Don authored “The Mad Tsar: Ivan the Terrible” in this special issue of the Exploring History series. Russia’s first tsar united the nation, built the splendid St. Basil’s cathedral that graces the capital—and tortured and killed untold thousands of innocents, including his own son. Looking for clues to the tsar’s cruel and bizarre behavior, historians trace at least part of his madness to a deeply traumatized childhood. Don authored “Searching for Miracles,” the lead essay in this collection of articles about religious pilgrimages around the world. Every year, some 300 million pilgrims set out on some form of religious pilgrimage every year. Countless others embark on private journeys of the spirit, abandoning the comforts of home and the familiar in their quest for peace and enlightenment. Archaeologists have determined that this impulse, this movement in search of the divine, dates back to the earliest human cultures; anthropologists tell us that it is a defining characteristic of the human race. Pilgrimage, it seems, is written into our DNA. For this Special Edition of National Geographic, subtitled Crossroads of Faith and Conflict, Don authored “A Land Still in Turmoil,” an essay about the Holy Land’s volatile recent history. In the wake of the 20th century’s two World Wars, the complex political ambitions of powerful European countries dramatically reshaped the geopolitical landscape, stoking Arab-Israeli hostility that continues to this day. Full text available.